Earning designations and certifications not only adds the potential to increase income, it enhances professional image, increases marketability, proficiency, productivity and specializes expertise. More specifically, the Graduate REALTOR® Institute (GRI) expands on what is taught in real estate school. It explores deep into the true aspects and real life applications of real estate. Knowledge is the key to being the REALTOR® of choice. Present yourself above the competition with a favorable reputation and prepare for your success. Whether you are new to real estate or have been selling for years, create a successful business foundation by earning designations and certifications. We invite you to get educated! The SRES® designation program instructs REALTORS® to profitably and ethically serve the real estate needs of clients age 50+. Includes first year membership in SRES® Council and its umbrella of services. For many real estate professionals, short sales and foreclosures represent the new traditional real estate transaction. 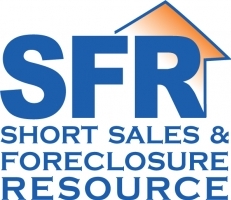 Knowing how to maneuver the complexities of short sales as well as how to identify the distinct real estate opportunities in foreclosure are not merely good skills to have in today’s market; they are critical. Become an e-PRO® and take your real estate marketing online. Focuses on the short sale process and the different negotiations necessary to successfully close a short sale in the volatile housing market of today. is a real estate professional with specific understanding of the complex issues confronting the real estate industry, and the foreclosure avoidance options available to homeowners. Through comprehensive training and experience, CDPEs are able to provide solutions for homeowners facing hardships in today’s market, specifically short sales.